A complete Guide on Tax Planning strategies. Learn about the best tax saving investment options. We help our clients in understanding the Income Tax implications on their earnings. We design the client portfolio in such a manner that maximum tax benefits are availed. Similarly, we also study and help our clients in understanding the tax implications in the changing tax law environment. We also assist in filing income tax returns. This is the most popular exemption as you can claim up to Rs. 1 lakh in deductions. The options include Employee Provident Fund (EPF), Public Provident Fund (PPF)- up to Rs.70,000 per annum, National Savings Certificate (NSC), 5-year bank fixed deposits, Life insurance policies, Equity-Linked Savings Schemes (ELSS), Unit Linked Insurance Plans (ULIPs), school fees, and home loan principal repayment. For making investments in this section you will have to decide on the ideal debt vs. equity mix that is right for you based on your age, risk-return profile and goals. If you have taken a medical insurance plan for yourself, your spouse, dependant parents or children, you can claim deductions up to Rs 15,000 (and additional Rs.15,000 for your parents’ medical insurance) under Section 80D for the premiums paid. The limit now has been enhanced to Rs 20,000 for senior citizens on the condition that the premium is paid via cheque. Expenses on the medical treatment of a dependent with a disability qualify for tax benefits under Section 80DD. In this case, deductions up to Rs. 50,000 or 75.000 can be claimed based on the severity. The interest component of your home loan is allowed as a deduction under the head ‘income from house property’ under Section 24(b) up to a limit of Rs 1.5 lakhs a year in case of a self-occupied house. The claim can be made even on loans taken for repair, renewal or reconstruction of an existing property. Shuffling is a popular strategy used by ELSS investors which have a mandatory lock-in of 3 years. If you have been investing Rs 50,000 for the past 3 years and don’t have cash to invest this year, you can easily redeem investments made 3 years ago and re-invest that amount this year to claim the benefits. You will not have to pay any long term capital gains since you will be redeeming after more than a year. Thus you can enjoy tax benefits without making any fresh investments. Only risk is that the NAV can go up or down in the shuffle process and you may end up making a small profit or loss. While donations should not be made simply for tax purposes but for philanthropic reasons, you can always make a couple more at the end of the year to lower your tax. You get a tax relief if you donate to institutions approved under Section 80G of the Income Tax Act. The rate of deduction is either 50 or 100 per cent, depending on the choice of the charity fund. There is no restriction on the amount given to charity. However, donations must be made only to specified trusts and also only donations of up to 10 per cent of your total income qualify for such a deduction. Remember to get receipts whenever you make any charitable donation. Please remember that tax exemption is only an added advantage of charity and it should not be the primary reason for doing so. Normally, if you invest in your wife’s or child’s name, the income generated from such investments will be clubbed with your income and taxed accordingly. However, if you transfer money through a deed to a child who is over 18 years of age and invest in his name, then the income generated from such investment will not be clubbed with your income. Instead, that will be clubbed with the income of your child/wife and taxed accordingly. Cash gifts received from specified relatives are exempt from income tax and there is no upper limit. Similarly, cash gifts of any amount and from anyone received during your child birth, marriage or any other specified event are totally tax-free. However, any cash received from a non-relative where the value is in excess of Rs 50,000 in a particular year will be considered as income in the hands of the recipient. You should make sure that you have a record & valid receipts for all tax savings investments made in your name. You do not want to be running around at the last minute collecting all the documents required for tax filing. A home loan is not necessarily a bad debt. Consider getting a loan while buying a home. 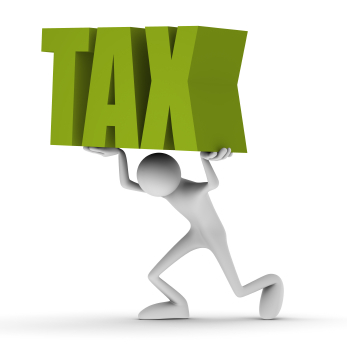 Take advantage of the tax breaks that the IT sections 80C, 80D and 80DD offer. By taking medical insurance, you not only insure your family against medical expenses, you also get a tax deduction u/s 80D- so take that cover today! File your taxes on time!